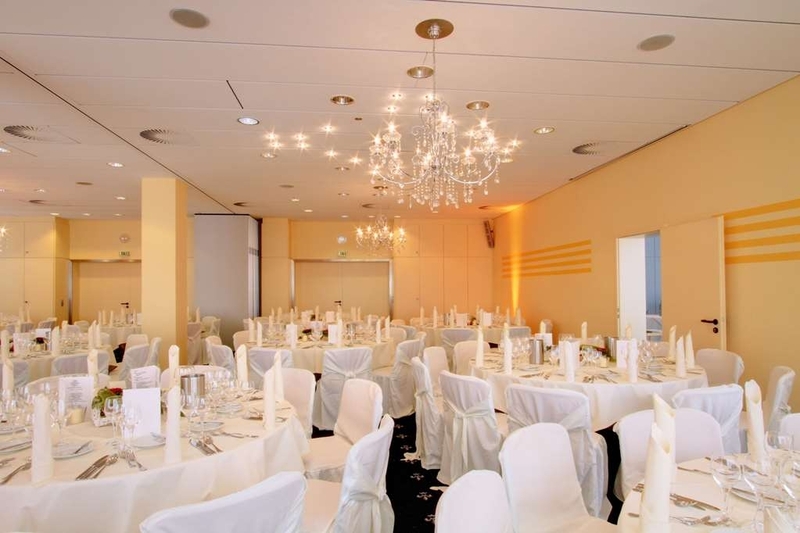 The Best Western Plus Hotel Steinsgarten is ideally located in the center of Giessen. Come and experience our hotel near the major tourist attractions. Best price guaranteed and exclusive deals. 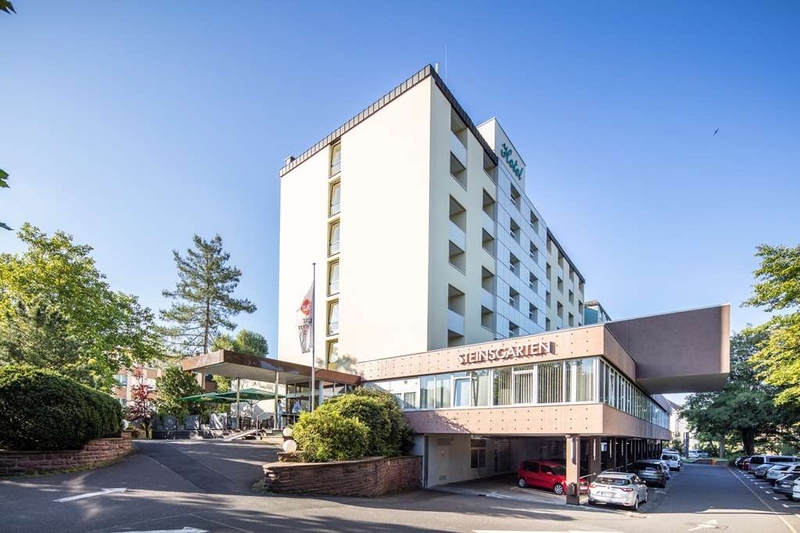 Located in the heart of Hessen the modern business and conference Best Western Plus Hotel Steinsgarten offers all the comfort a sales agent or a conference attendant expects. All 126 tastefully equipped guestrooms come with modern comfort and the good transport connections allow a comfortable journey. In spite of being located far from the busy main roads you can reach downtown and its cultural places of interests by walking only a few minutes. 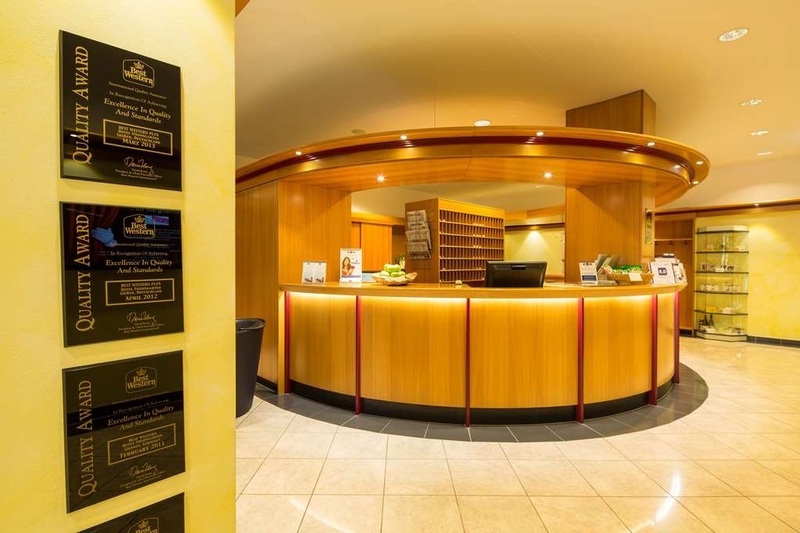 In all conference and guestrooms as well as in the restaurant we offer a free Wi-Fi-connection. Our eight air conditioned meeting rooms offer room for conferences up to 200 participants. Furthermore six break-out rooms allow meetings in smaller groups. The variety of conference packages and incentives is huge and can be extended if needed. Whether the vital coffee break with freshly squeezed juices or the gourmet package including a gourmet menu, our individual service guarantees a professional handling. The Park-Restaurant Classic awaits its guests in a stylish Mediterranean setting with a varied choice of international and regional cuisine. Helping yourself at the comprehensive lunch buffet you can watch the chefs creating food in our show kitchen. 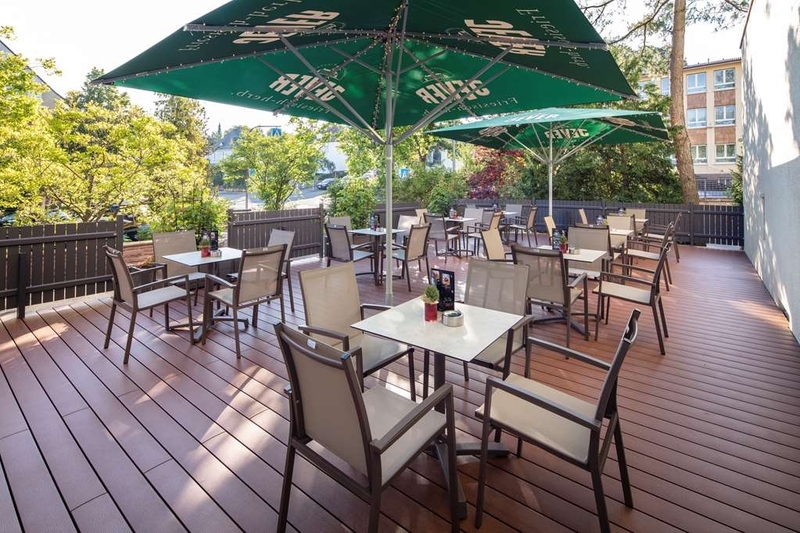 In our Jever Deel bar the barkeeper doesn't only supply the guests with well assorted drinks, he also cares for entertainment with live music. 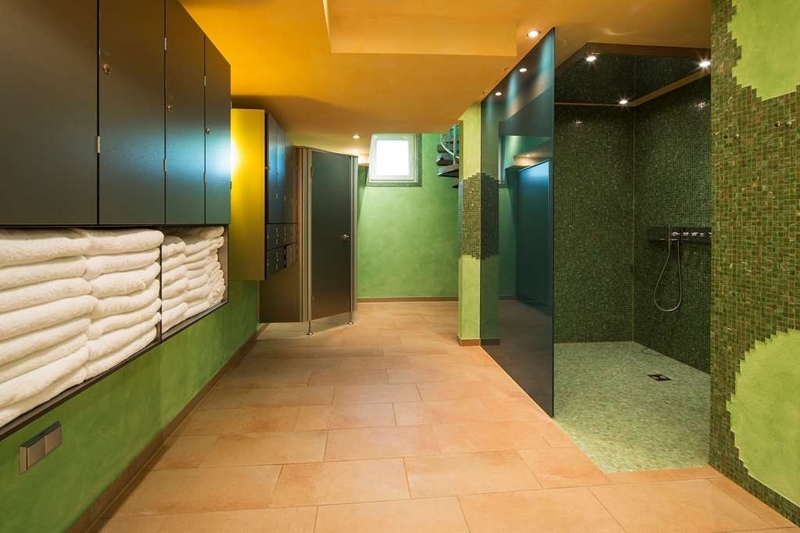 The Spa area offers a sauna, a steam-bath and an indoor pool and is an oasis of silence and relaxation. Sanitary products and sauna flavors are also available. Enjoy your stay. Good value for money. Comfortable hotel with nice clean rooms and good food (diner & breakfast). My room had a balcony with a great view. The shower was one of the best I ever had in a hotel! I would definitely stay here again. We stayed at The Best Western Plus for two nights in a “Junior Suite” with three beds. While not very suite like the room was big and comfortable. All the furnishings we new and the beds were comfortable. The hotel is tucked away on a quiet street but nicely located and convenient to access. The staff are friendly and free buffet was great. 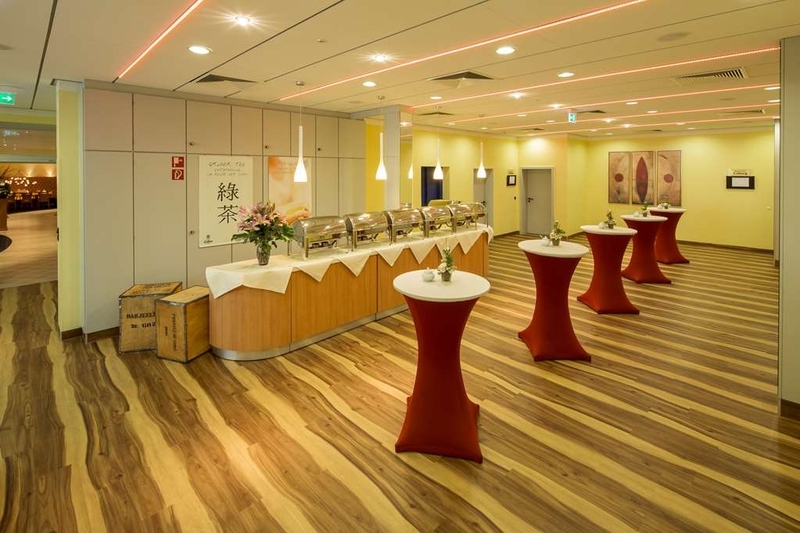 "Convenient but not the most charm nor class"
We always chose this hotel for our annual conference as it's close to the location we need to be and also use some of their seminar rooms. Staff is always friendly and helpful but the hotel itself is functional rather than nice. Some car park available which is a bonus in Giessen. Food for breakfast is ok, but lunch buffet was dismal with the serving member of staff clearly having no idea what he was serving and not very healthy choices. Dinner is ok, somewhat traditional cooking, meat was quite salty. Some staff speak English but not all. Seminar rooms are suitable, including a projector where needed. 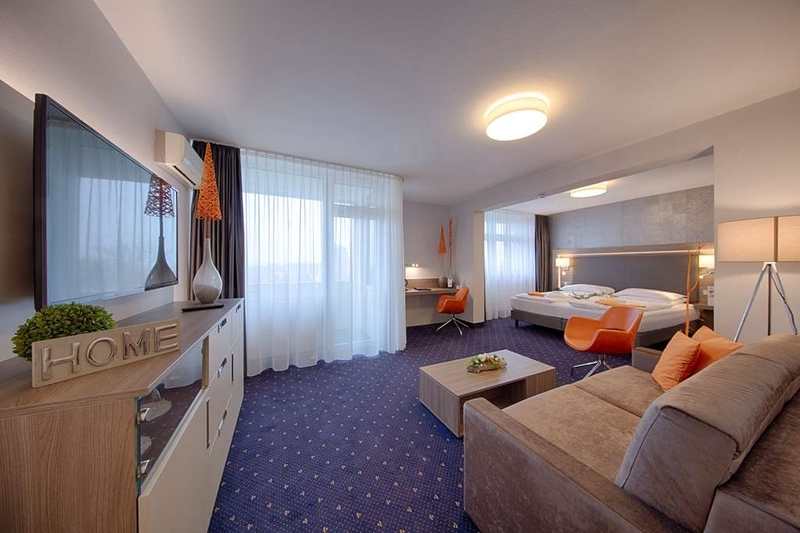 "Best accommodations in Giessen! Very quiet, great breakfast!" The accommodations are nice. Fairly standard for a best western anywhere. Our room was incredibly quiet. 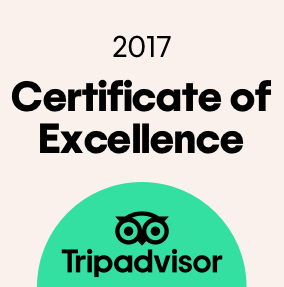 We found the staff to be very helpful and friendly (those who think otherwise are probably not used to German formality). The free breakfast is one of the best we've had for any hotel. Everyday they have eggs, sausage and potatoes. Plus there is a great selection of breads, wurst, cheeses, fruit and cereal. If you want something special, just ask and they will probably make it for you. The parking lot can get full, but so far we haven't had any trouble finding a spot. 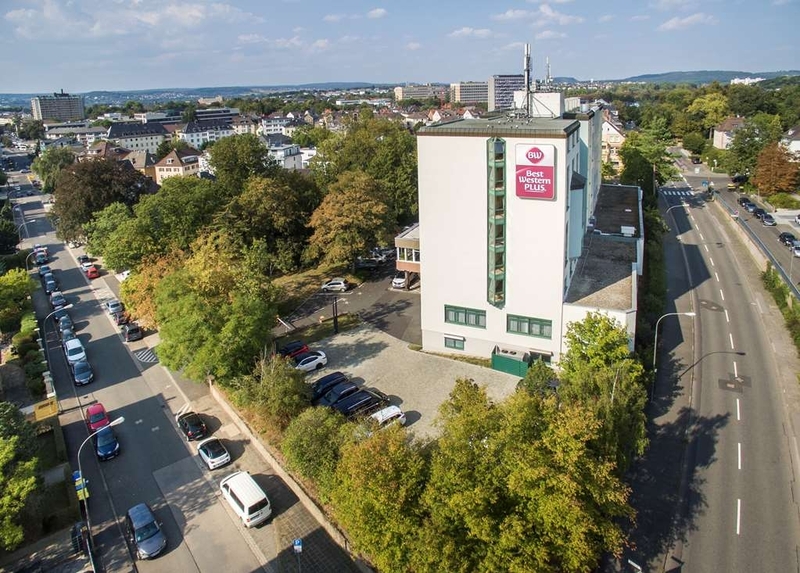 Most of the other hotels in Giessen don't offer any parking at all! Another nice perk is that it is within walking distance to downtown. If you don't mind walking a bit, you can discover much of what Giessen has to offer on foot. "Naja... well.. maybe not again"
Party guests who come back to a hotel at three pm happens but if the registration can not shut them down and they are two floors away and you think someone yells in your ear this points to skinny walls. Beautiful wake up through the shower next door in the morning... The rooms are ok but simple - I wonder how this gets a real four star status in my book. A TV and restaurant does not make something a four star does it ? Room was clean, spacious bathroom but not making up for inherent noise level. 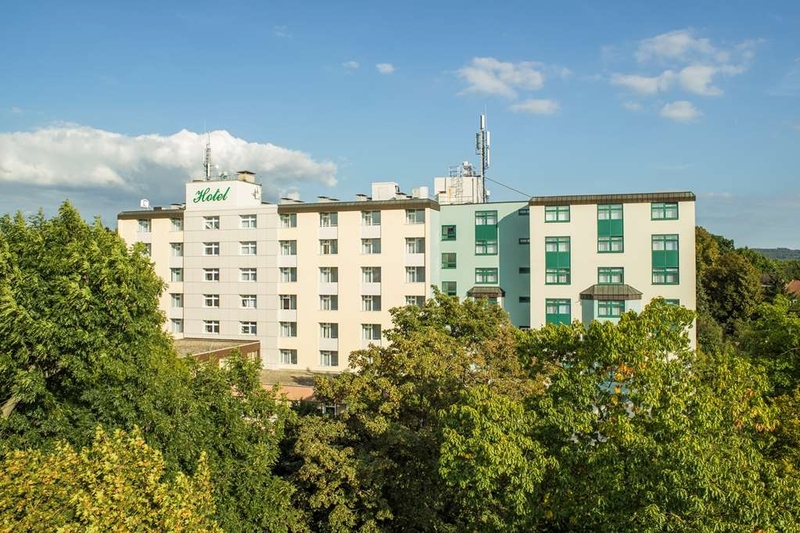 "Decent accommodations and helpful staff not enough parking and one of the worlds worst Internet services"
If you are looking for something charming then this might not be the hotel for you. Accommodations were nice and clean. You can pay a little extra in the warmer months for air conditioning, which was a big plus for us. The breakfast bar is wonderful with lots of choices. The bar off the lobby is open during weeknights only, but well worth a stop in for a cocktail. The bartender is a delight! The only major complaint I had was the internet service. It was almost impossible to keep a connection! Hotel is conveniently located to the pedestrian area and plenty of restaurants. 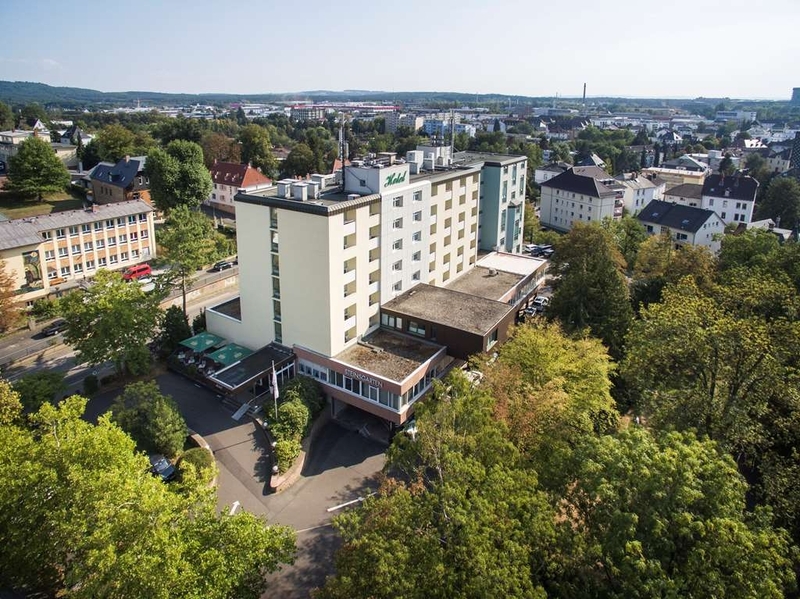 "I stayed there 4 times in 15 days"
If "quaint" and "old world charm" are important to you, the Best Western in Giessen is not for you ... other than the German being spoken, this BW could have been anywhere. That said, it was clean, efficient and dependable. A great breakfast came with the room and with parking virtually impossible on the streets, the fee for parking was very reasonable. Plus it was close to where my son lived, so it was convenient for me. With Giessen as my base for a 2-week trip, I stayed @ the BW 4 times and saw no reason to change hotels. One small thing I didn't like was having to pay extra for A/C. First night discovered pillows hadn't been changed and smelt very badly of someone else's previous visit. No restaurant for evening food. On busy main road so very noisy. No air conditioning. Strange smell in the hallways. Not in the nicest part of the town. If you don't need to get too much sleep, and just want somewhere good value to stay, this is probably the hotel for you. I have stayed in this hotel many times and always had a good stay. Rooms are clean and tidy plus it also has a small swimming pool. My only comment is that you have to pay extra for the air conditioning in the summer if you want it. "Better than other Best Western"
Stayed for a business conference for 3 nights. My room was a single room. Size wise, it was much bigger than standard single rooms in Germany, but the bed was quite small, so had some worries about falling down in the middle of the night (Which didn't happen after all). Room was clean and had all the basic features + (Safe, minibar). Wifi was free, but was a bit slow from time to time. Breakfast had much wider variety than average hotels in Germany and if you're into fresh veggies, for sure you'll find much much more options than other German hotels. The hotel has a small bar, which was nice to have on a cold, rainy, evening. Overall, a recommended option in Giessen. The staff at the reception was very atentive. He thanked me for caling ahead to let them know i was arriving late. Even though it was nearly 22h i could still have dinner. I had the liver, which was very good. The room was clean and comfortable. If you come by car you have to note that there is a parking fee. Do not forget to pay it at check out. "Clean, welcoming hotel ideal for business trips"
I have stayed at this hotel many times on business and the standard remains high. 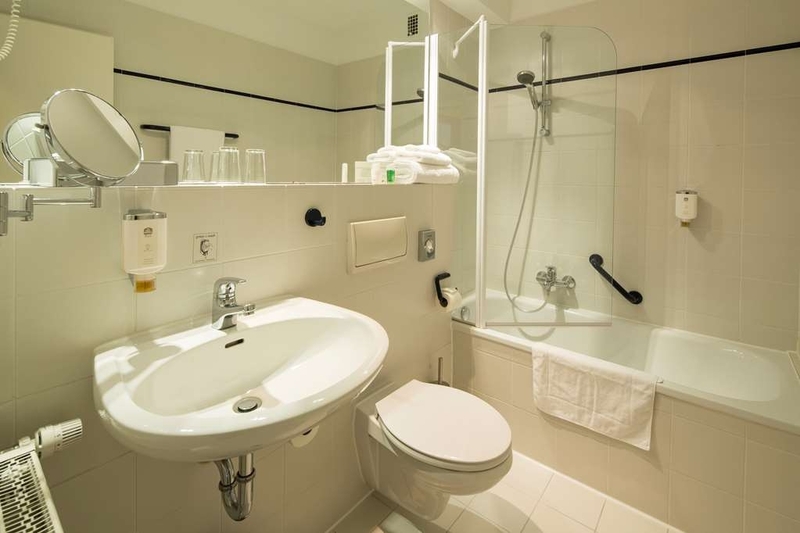 Clean well appointed rooms with nice clean bathrooms. Large modern Flat Screen TV, Free Wi-Fi, Mini Bar. The staff are welcoming and friendly, speaking excellent English. Great choice and variety of food at breakfast both cooked and cold, English and Continental. Lots of different local breads and pastries. Large variety of Teas. Coffee and Espressos available also with fresh Oranges to squeeze for yourself for the ultimate fresh healthy juice. (I find this is always a lovely bonus at hotels). Gym and pool facilities available if you have the time. Quaint cozy bar with a large assortment of drinks, especially Whiskys. Used by a lot of businesses this hotel can be a little noisy at times from the bar area. Especially if your room is close to it. This hotel offers clean, pleasant rooms with comfortable beds, adequate bathrooms and reasonable wifi. The staff were friendly and helpful and breakfast offered a good assortment. A small drawback is that it is not terribly convenient for the centre of Giessen. Despite that, I'd stay again. This hotel may be a little priceier but well worth it. The staff are friendly and speak english. The rooms are a realnable size with real comfy beds not hard. The only down side was there were no family rooms and we had to rent 2 rooms. The rooms came with mini fridge, coffe machine, safe, closets, pants press free wifi, washclothes and a complimentary sparkling water. The breakfast buffet was extra but really good. Parking is 8 Eureos extra as well. The room was clean and nice, and it was not that pricey. But... impossible to get onto the internet as too many other people trying to do the same thing. The walls were paper thin, enough to hear music / TV / voices from those around you. It was a nice, clean and beautiful hotel. The people are very friendly. I enjoyed it very much. It was the second time, and if I'm in Giessen again, I certainly return here. The breakfast was excellent.